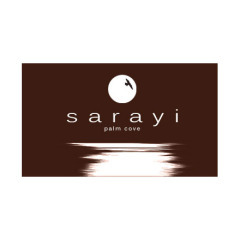 Sarayi is a boutique beachfront hotel located in the heart of Palm Cove on Williams Esplanade. Offering accommodation in spacious Garden Studios, Hotel Style rooms and 1 bedroom self contained apartments with either mountain or ocean views. The stunning rooftop function venue, Sunset Terrace, offers spectacular ocean and mountain views, and can cater for up to 300 people. This venue, unique to Palm Cove, is extremely popular for weddings and both corporate and private functions.